After a hard day of working on the documentary in Belém, there’s nothing better than having a tacacá outdoors to restore the energy at sundown! 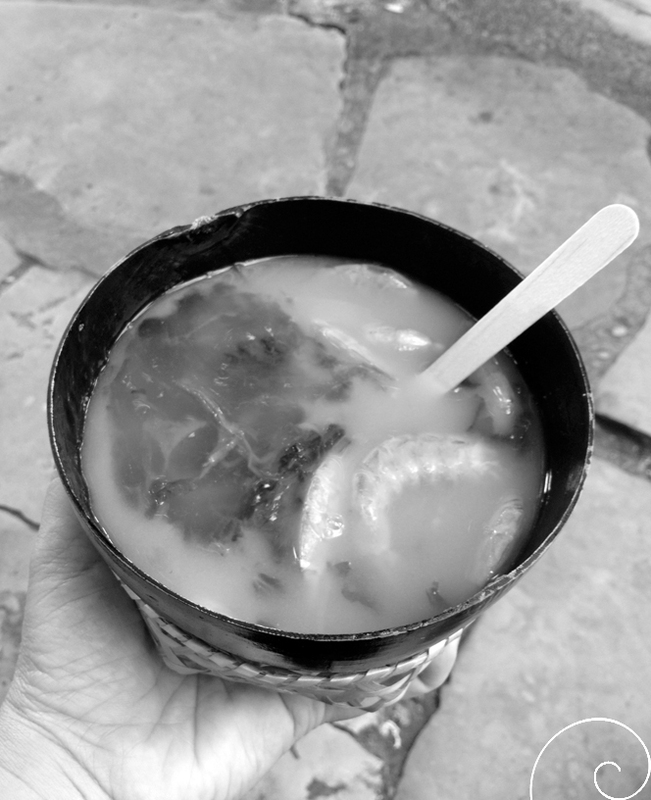 We went to Maria do Carmo’s stand, opposite Colégio Batista, on Nossa Senhora de Nazaré Avenue, probably the best tacacá on the streets of the city: besides being delicious, the great movement of people there confirms that. On our hands, a very special synthesis of the food culture of Pará, indigenous ingredients, cabocla’s recipe, mixed-race food: in a small gourd, first Maria pours the yellowish broth tucupi (extracted from cassava and then boiled); she adds a handful of cooked leaves of jambu (a singular Amazon herb, that causes a vibrant effect in the mouth, especially with the flowers and leaves together in the broth! ); four or five dry and salted shrimp; one or two ladels of gum (made from cassava starch to thicken the broth); and, finally, depending on the taste of the customer, as in my case, she adds a generous spoonful of spicy tucupi broth! Bon Appetite!!! Text: Silvio Luiz Cordeiro. Image: Cristina Demartini.